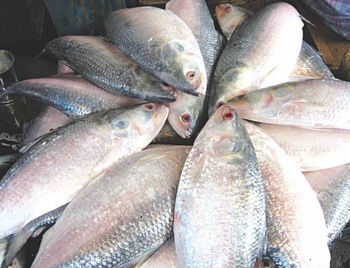 Bangladesh will lift ban on hilsa export. Bangladesh Fisheries and Livestock Minister Narayan Chandra Chanda on Monday said that the government would soon lift ban on hilsa export. “We want to export hilsa, as its production has increased as well as demand in the international market,” Narayan Chandra Chanda said. On August 1, 2012, the Bangladesh government imposed ban on hilsa export. Though the ban is in effect, hilsa fish are being smuggled out of the country, Chanda said. The government will also continue conservation efforts to protect female hilsa fish. The minister said that country’s fisheries sector contributed to about 3.61 percent in the gross domestic product (GDP) in 2017 which was one fourth of total agricultural production. “The ‘Blue Growth Economy’ has already been included as ‘Pilot Country’ in sea economy of Bangladesh,” the minister said at the press briefing. He also informed that the government established three Fish Inspection and Quality Control (FIQC) laboratories in Dhaka, Chittagong and Khulna.